Upcoming Exhibition: “In Tandem” opens May 9th. This and other work will be exhibited May 9th – June 13th at Frank Juarez Gallery in Sheboygan, Wisconsin. Reception for the Artists: May 16, 5-8pm with an artist talk at 6pm. In Tandem will feature works from two artists who share similar formative backgrounds, influences, and environments expressed through varying degrees of interpretation. While attending Lakeland College from 2006 to 2010, Liz Ann Lange and Sara Willadsen both began incorporating architecture and views of Sheboygan County within their studio practices. 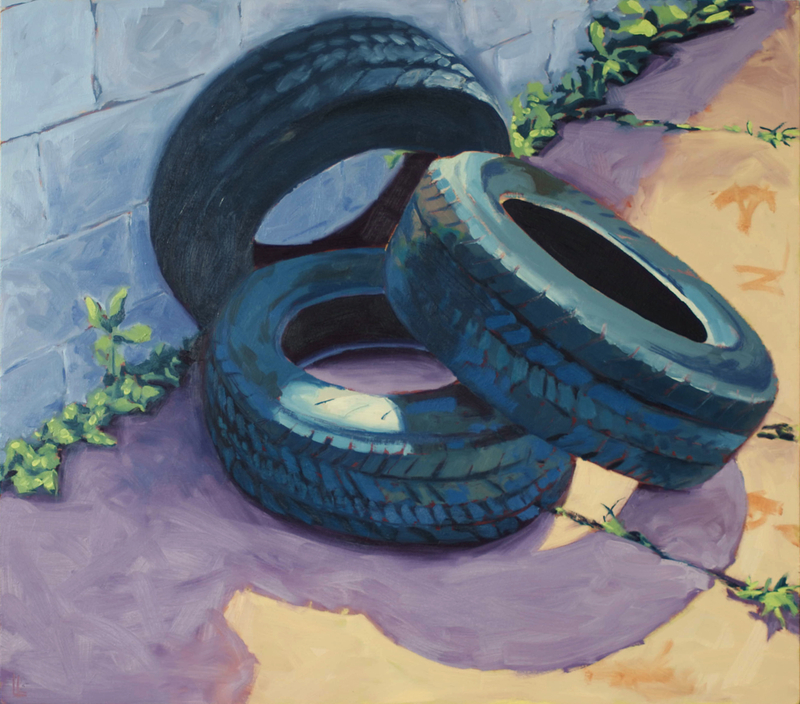 Working primarily in oils, Lange has continued to build upon her direct explorations of the community’s hidden spaces and unglorified tableaus, documenting her observations without bias or pretenses. Willadsen employs mixed media to indirectly reference these same scenes by breaking them down to their formal parts and putting more focus on the physical materials that make up the work itself, resulting in suggestions of invented spaces. Through color, composition, and perspective, Lange and Willadsen both create works guided by structural characteristics and ephemera encountered in the Sheboygan area.